Safety: The employees, staff and board of directors know that a pro-active approach to safety is the cornerstone of Dawson PPD’s culture. At monthly safety meetings, employees are encouraged to share experiences and ask questions. A safety committee of employees reviews incidents and suggests solutions. A variety of topics are covered during each meeting to ensure that employees are equipped with the knowledge, skill and support they need to work safely and effectively. The District’s loss prevention and control coordinator visits worksites and ensures compliance. 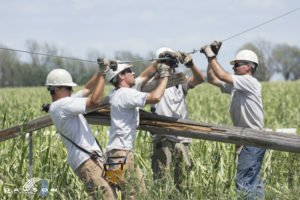 The District has been safety accredited by The National Rural Electric Association’s Safety Accreditation Program. Dawson PPD also believes in public safety education with proactive advertising campaigns and a power line safety demonstration that has reached nearly 5,000 people in the last five years. Equipment and technology: Dawson PPD provides employees with a regularly updated utility fleet, including nine bucket trucks, four digger derricks and two small bucket trucks in addition to smaller service trucks. The district uses mobile work orders, digital staking and an automated metering system. Our line crews are supported by two on-site mechanics, three warehouse employees, two special equipment technicians and a fully staffed, in-house engineering department. A growing district: We are a power district that continues to experience load growth in our area. In 2014, we connected 310 new services. In addition to new construction, Dawson is also engaged in on-going projects to upgrade current facilities and replace aging conductor. These projects allow us to provide more reliable service and meet our customers’ needs for years to come. 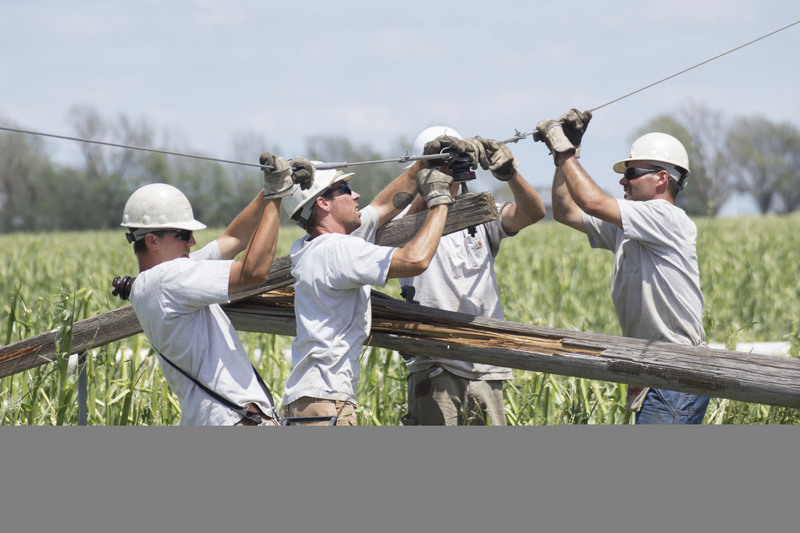 Opportunities for advancement: Dawson PPD utility line workers have an opportunity to change career paths or advance into supervisory roles. The district supports continuing education with Merchant’s coursework, hot line work training, switchman’s training and supervisory coursework. For more about the Lexington and Dawson County, Nebraska area, visit the Dawson County website.